Join us in congratulating these employees who received milestone anniversary awards this year! 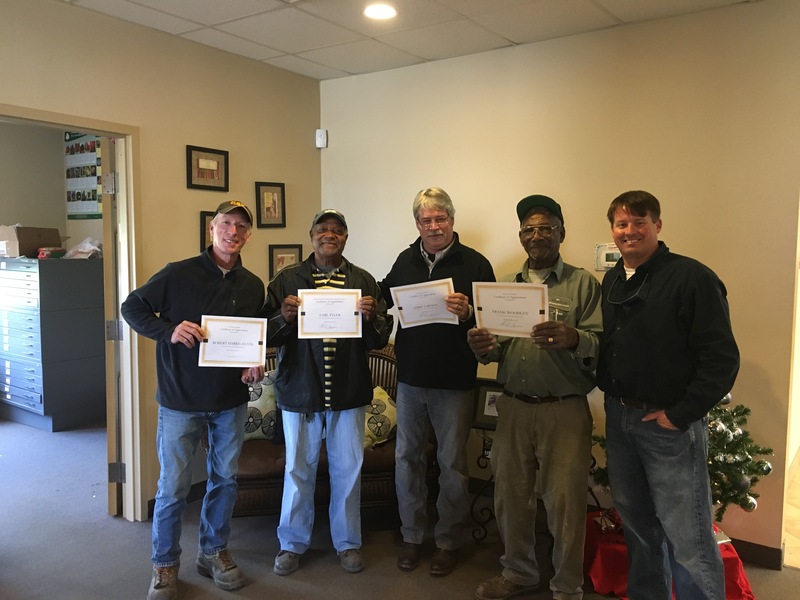 Starting on the left, Robert ‘Elvis’ Harris (27 years), Earl Tyler (11 years), Jerry Lawson (35 years), Frank Woodley (19 years), & Robert Watkins. We are proud to have these employees working at Watkins Nurseries with a combined experience of 92 years!